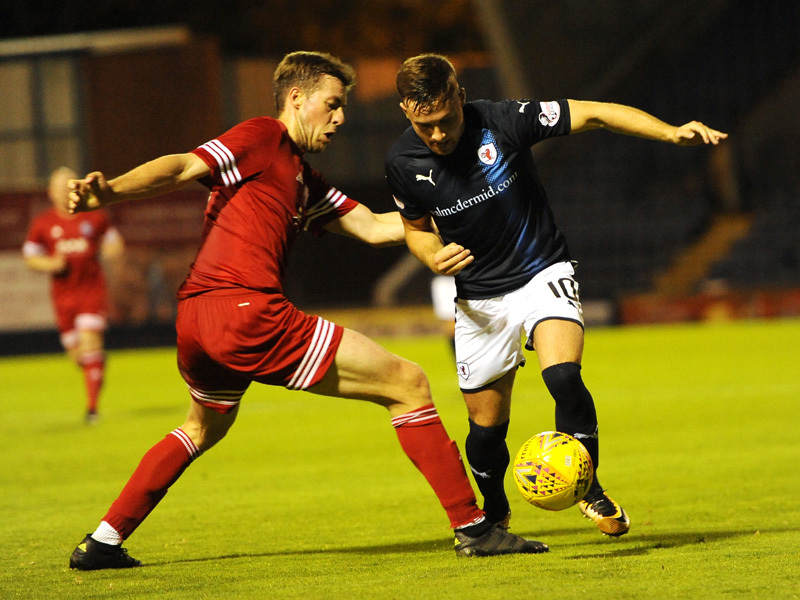 Raith Rovers made it safely through to the second round of the Irn Bru Cup, but they were made to work hard for it by a Brora Rangers side who could consider themselves a little unlucky to lose by a 3-0 margin. 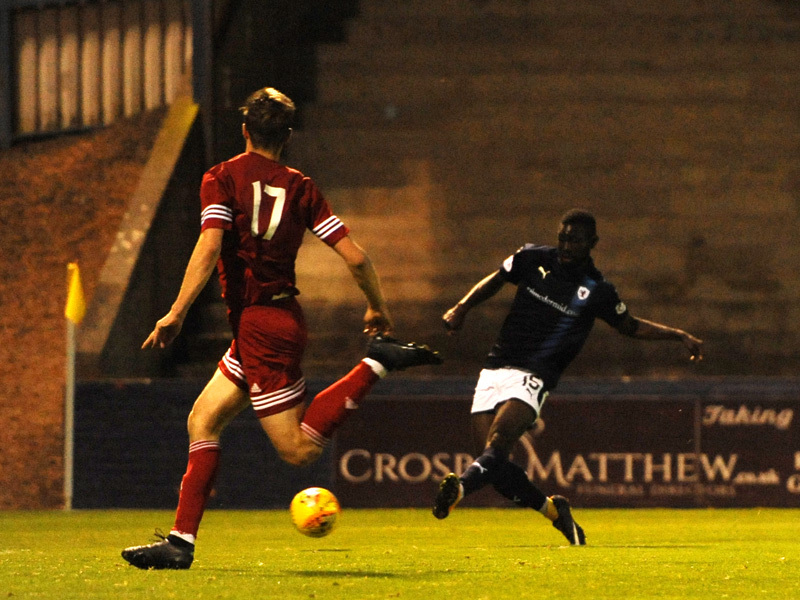 A goal from Ross Callachan got Raith on their way in the first period, and second-half strikes from Lewis Vaughan and Yaw Osei eventually got Raith over the line. Perhaps surprisingly, boss Barry Smith made just three changes for this one, with Iain Davidson replacing Kyle Benedictus in the centre of defence, while Liam Buchanan and Scott Robertson made way for James Berry and Ross Matthews. Considering Raith had had minimum fuss with Buckie Thistle as recently as last month, perhaps some Rovers fans were expecting this match to progress in a similar way, but Brora made a bright start to this one, forcing three corners in the first couple of minutes, although Jamie Duff’s headed effort drifted harmlessly wide. Rovers were struggling to get going in the opening period, although a nice piece of interchange between Bobby Barr and Kevin McHattie on the left, ended when the latter went down in the area under pressure from Scott Houston, with referee Steven Reid probably correctly seeing no need to award a penalty, despite the protestations of some. 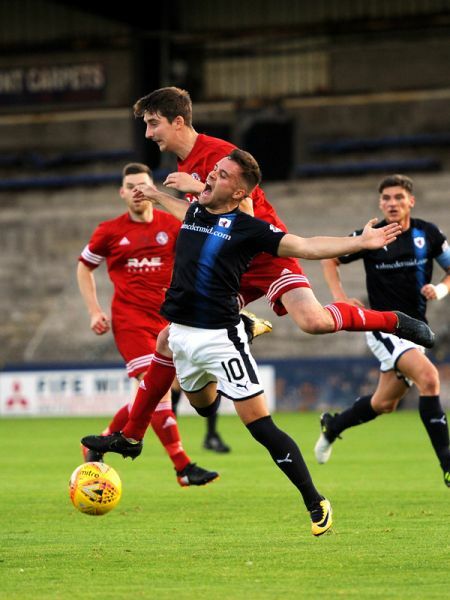 Raith fashioned their first chance after eight minutes, when a short corner routine between Lewis Vaughan and Barr saw the winger send a cross into the area for Euan Murray, but his header was never in danger of troubling Brora goalkeeper, Daniel Hoban. 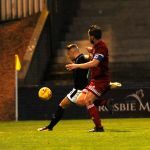 Neither ‘keeper had been particularly troubled in a fairly tame start to the match, although that changed in the 12th minute, when a magnificent stop by Aaron Lennox prevented Brora getting their noses in front. A sweeping ball in from Andrew Greig on the left-hand-side, found Scott Graham with almost the entire penalty box to himself, but with time to bring the cross down, he elected to try a first time effort, which Lennox tipped superbly past his right-hand post. 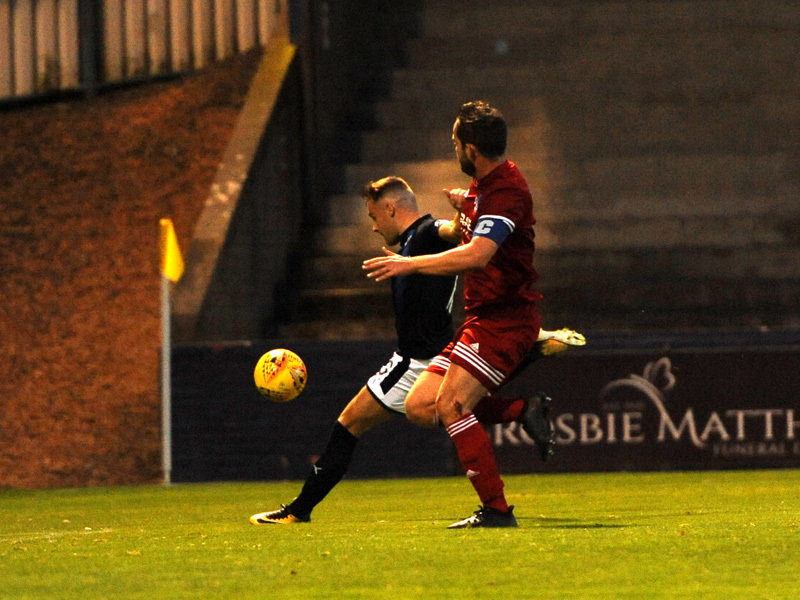 If Brora boss, Ross Tokely was frustrated at his team’s failure to capitalise, he had an even bigger reason to be annoyed just three minutes later, when Raith took the lead in the 15th minute with a well worked effort. 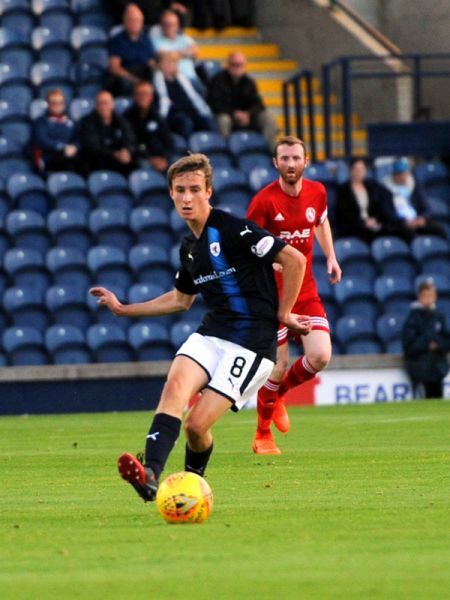 Vaughan held the ball up by the left-corner flag, eventually releasing Barr who had arrived to help, and his cross into the area was met perfectly by the head of Ross Callachan, who thumped a header into the corner of Hoban’s net. With Raith now a goal to the good, the hope was that Rovers could start to get in behind a side who had to come out a little more, but Brora were proving obdurate and difficult opponents, and were creating as much as the home side, with Zander Sutherland seeing his effort blocked on the edge of the area by Berry. 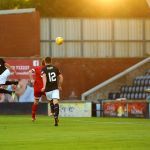 The away side also fashioned the final half-chance of the opening period, but Mark Nicholson’s effort from distance sailed high into the South Stand. The second period ambled along in much the same fashion as the first, with Brora seeing plenty of the ball, but lacking the touch of incisiveness which Rovers had about them, albeit Smith’s team were being frustrated in their efforts. Vaughan has been at the hub of much of Rovers best efforts this term, and his low cross from the right was aimed towards Greig Spence, but Hoban gathered well at his near post. It was as close as Rovers came in the first 20 minutes or so of the second period, as the home fans started to grow a little listless at the performance that was unfolding in front of them. However, Rovers doubled their advantage in the 65th minute, with a goal that could barely have been simpler. 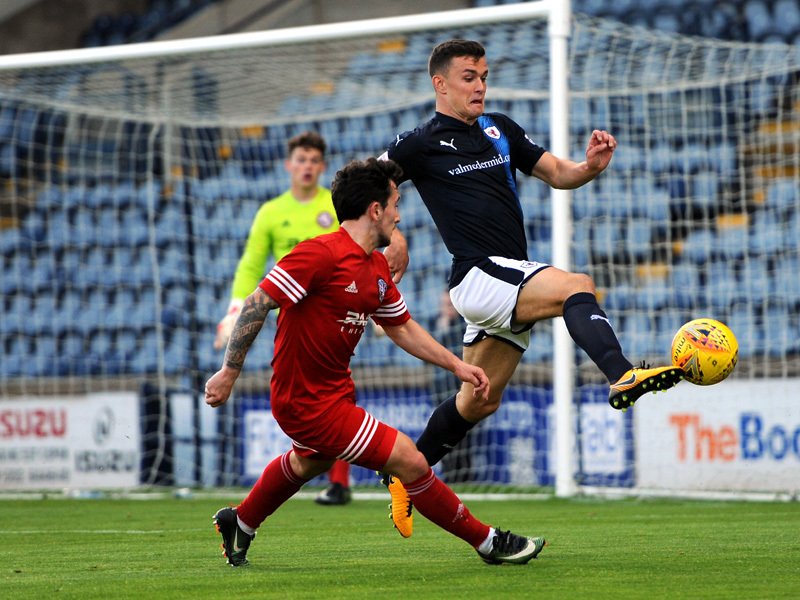 Barr played a ball over the top of the Brora defence, and with both Spence and Vaughan attempting to scamper on to it, the latter bided his time and lashed a volley past Hobdan to give Raith the breathing space they needed in the tie. 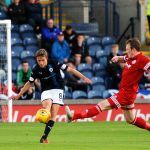 Indeed, Brora demonstrated just how much it was required, as they came agonisingly close to reducing the arrears three times in a matter of a few seconds. 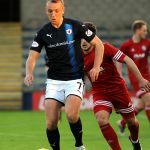 First, Nicolson was unlucky to see his fierce drive from distance strike the bar, and from the rebound, substitute Kyle MacLeod was twice denied by two fingertip stops from Lennox. The match was put to bed with five minutes left however, when another substitute, Yaw Osei bagged his first goal for the club. 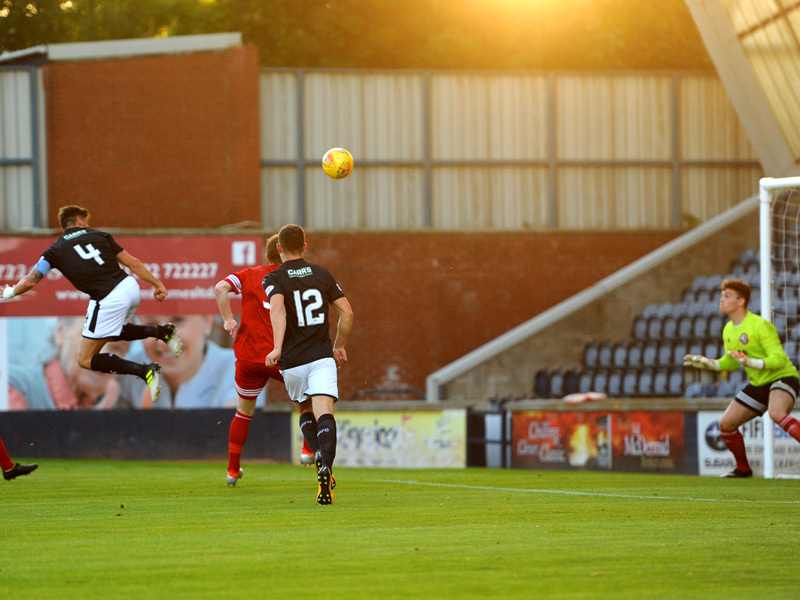 Again, it was all very straightforward, with Barr’s ball over the top catching the Brora defence somewhat flat-footed, and with Hobdan apparently unsure whether to stick or twist, Osei remained calm enough to take the ball around the ‘keeper, and slot home to make it three. The result means that unlike last season, Rovers will be in the draw for the second round which takes place on Thursday afternoon, with ties being played on the weekend of September the 2nd and 3rd. Welcome to Starks Park, it's 18 degrees and slightly cloudy. The players have done their warm up and are away to get stripped for action. Mr Reid gets the game underway, Brora kick off towards the South Stand. Lennox punches away a corner from Greig, Brora's 3rd in 2 minutes. Brora's aim to press from the off, Sutherland shoots wide. Berry and Vaughan combine, the pass to Thomson is too strong, the ball running away from him. Barr playing on McHattie who is pushed in the box, goal kick says the ref. Short corner to Barr, he finds Murray who heads over the bar. Spence goes clear down the left but is flagged offside. Greig with a peach of a pass found Sutherland forcing Lennox to palm wide with a shot from 10 yards. Barr 30 yards out on the left, crosses and Callachan heads past the stranded keeper. 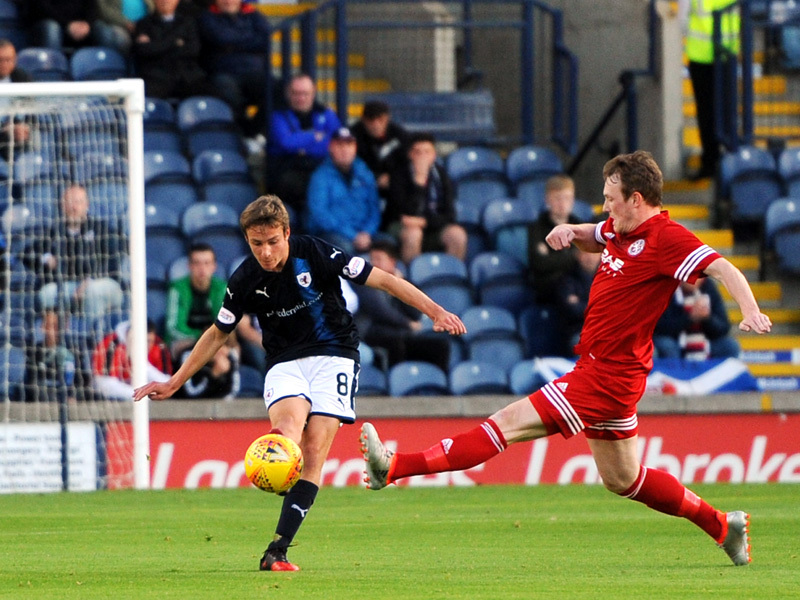 Ross Callachan with his first of the season. Barr clear through the middle, falls on the ball and Brora clear. Thomson doing well to keep Greig at bay on the right. Barr running into the box passes to Vaughan who shoots wide. From a clearance, Nicholson shoots into the South Stand. Sutherland on the right finds Graham who heads wide. Sutherland shoots again and is blocked by Murray for a corner. Sutherland shouldn't be so distraught, he was 10 yards offside. Callachan fires the ball into the box almost forcing Duff into an own goal. Sutherland gets a sore lip in an accidental clash with Davo. Rovers making space, not always in the right areas. Duff receiving a chat for a challenge on Spence. Floodlights are on, just waiting for the teams to come back out. Vaughan kicking off the second half. Free kick Brora, Callachan denies Williamson, his header was going wide in any case. Finally the ball is on the deck, it's been airsick for the last few minutes. Sutherland and Graham with a 1-2, Lennox collects from the latter. Sutherland whips in a cross from the right but there are no takers. Barr covering every inch of grass tonight. The defence are doing well to contain, but can't find a forward with their clearances. Barr and Vaughan 1-2 the latter sees his cross intercepted by Hoban deny Barr. Scott Graham heads just wide at the back post. Lennox hasn't put a foot wrong this evening, looking assured at every turn. A great turn and passfrom Vaughan to Spence, Hoban coming out yo clear. Vaughan received a long ball, he hit a half volley from 6 yards into the far corner. 65' Vaughan scores his 8th of the season. Houston yellow for a foul on Vaughan. Spence was about to pull the trigger when he was brought down in the box, corner says Mr Reid. From a free kick, Duff duffs hjs shot way past the post. Graham recycled a corner to Williamson who heads wide. 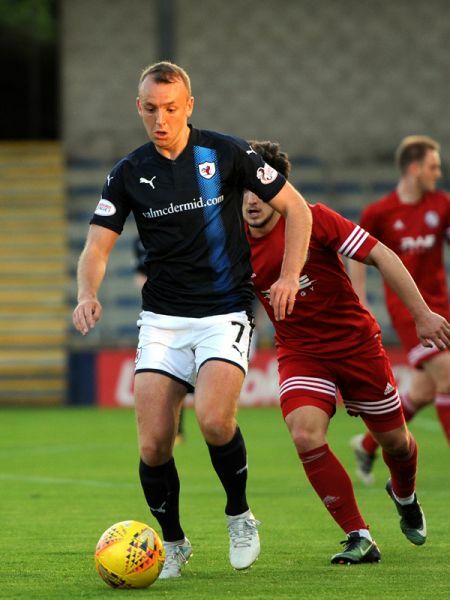 Greig with a great cross saw MacLean head to Lennox. Spence and Joban clash going for the ball, no harm done says Mr Reid. Nicholson yellow for a foul on Callachan. Callachan launches a 30 yard free kick into the South Stand. Osei launched a cross to Vaughan, Houston with a hint of hand ball, corner says Mr Reid. MacLean hits the junction of bar and post, Graham hits the rebound and Lennox stretched to save. Yaw Osei takes off and beats his man and keeper from 12 yards. Spence has a shot parried from 6 yards. Spence off Court on. Graham off, Campbell on. MacLean yellow for a foul on Vaughan. +2 Benedictus yellow for a foul. Lennox, Thomson, McHattie, Callachan, Murray, Spence, Berry, Vaughan, Barr, Matthews, Davidson. Subs, Brian, Benedictus, Osei, Court, McKay, Watson, Bell. Hoban, Houston, MacDonald, Williamson, Duff, Morrison, Nicholson, Greig, MacLean, Graham, Sutherland. Subs, Gunn, Grant, Paterson, Brindle, Campbell, MacLeod. 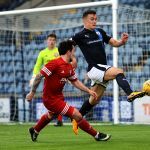 Raith Rovers begin their Irn Bru Cup campaign this Tuesday evening, with a home match against Highland League opponents, Brora Rangers. Ross Tokeley’s men have been in good form so far this season, with three wins and one defeat from their four league games to date, scoring 9 times in the process and conceding just once. 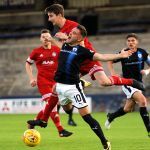 That sequence sees them currently sitting fourth in the Highland League table, three points behind Cove Rangers who are the only side to boast a 100% record. 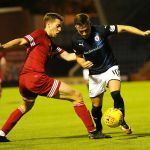 They’ll be looking to go one better than last season, which saw them finish just one point behind champions Buckie Thistle, a team which Raith defeated in the League Cup last month. 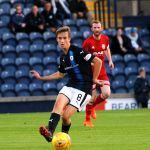 Rovers will be hoping to go considerably further in this competition than they managed last term, when they fell at the first hurdle against Forfar at Station Park by three goals to two. 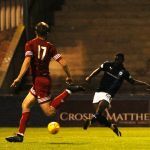 Brora reached the second round of last year’s competition, defeating the Ross County under-20 side 3-2 in the opening round, before going down by the same scoreline to League One Peterhead. Wednesday evening’s match referee will be Steven Reid.